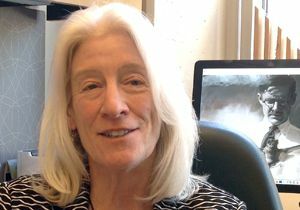 Professor Blaire Van Valkenburgh, an internationally renowned vertebrate biologist and paleontologist, has been appointed the inaugural Donald R. Dickey chair in Vertebrate Biology in the UCLA Department of Ecology and Evolutionary Biology. The chair, which was created through an endowment from Donald R. Dickey Jr. and Hisae Dickey, supports the professor who stewards the Donald R. Dickey Bird and Mammal Collection as well as the collection's curation and maintenance. Van Valkenburgh, which is housed in UCLA's Hershey Hall, since 1986. The collection, one of the world's best of bird and mammal specimens from the American southwest and Central America, houses nearly 64,000 specimens from North and Central America, and from islands in the Pacific. Also included are Donald R. Dickey's rare photographs, books and field notes. The collection is actively used both for research and for undergraduate teaching. Previous Story Gary Blasi, Melissa Tyner receive California Lawyer Attorney of the Year Award Next Story Team up with United Way to end poverty in L.A.